iPM's second programme from Islay, after listener Chris suggested the Hebredian island for an outside broadcast. What's it like for the younger residents of the island? What makes non-Ileachs choose to move there? And what about the families who've been there for generations? Plus, a bumper edition of our Your News bulletin, read by iPM favourites Martha Kearney, Paddy O'Connell, Jane Garvey and Simon Mayo. Presented by Luke Jones. Produced by Cat Farnsworth. The first of two programmes from Islay, after iPM listener Chris suggested the Hebredian island for an outside broadcast. Who lives there? What makes them tick? And how do they keep local traditions alive? We also hear from Ileachs - the residents there - about the booming whiskey industry, the impact its growth is having on Islay's infrastructure and how it attracts huge numbers of tourists to the island each year. iPM is the programme that starts with your story - iPM@bbc.co.uk And Newsnight's Kirsty Wark reads our Your News bulletin. Presented by Luke Jones. Produced by Cat Farnsworth. iPM listener, Aiden, shows us round the business he set up in a prison, roasting and packaging coffee at Feltham Young Offenders Institute, South West London. He wants to give the young men working with him experience and skills they can use when they're released, and the prison governor tells iPM it's schemes like this that help cut re-offending rates. Also - Jonathan Dimbleby reads our Your News bulletin. iPM is the programme that starts with your story - email iPM@bbc.co.uk Presented by Luke Jones. Produced by Cat Farnsworth. Social media companies are in the spotlight about the harmful content that can be found on their platforms. In this programme, an iPM listener explains why she used to seek out such images, and how she doesn't want to quit social media now she's recovered. We'll have more news about our future programmes coming from Islay. 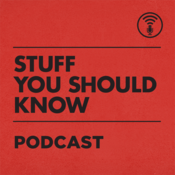 Also, Caroline Wyatt reads our Your News bulletin. iPM is the programme that starts with your news - send us yours, in a sentence, to iPM@bbc.co.uk Presented by Luke Jones. Produced by Cat Farnsworth. Listener, Alex, has a son with autism who's in a mainstream school. She explains how, after a difficult week, she was told to rethink how much she works in order to spend more time with her son. Paddy O'Connell - presenter of BBC Radio 4's Broadcasting House - reads our Your News bulletin. 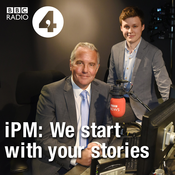 iPM is the programme that starts with your story - email iPM@bbc.co.uk. Presented by Becky Milligan. Produced by Cat Farnsworth.